Sculpture Size: 9 X 3 X 5 in. This green wall frog would love to come and hang around your house! Looks great on the wall or on a tabletop. 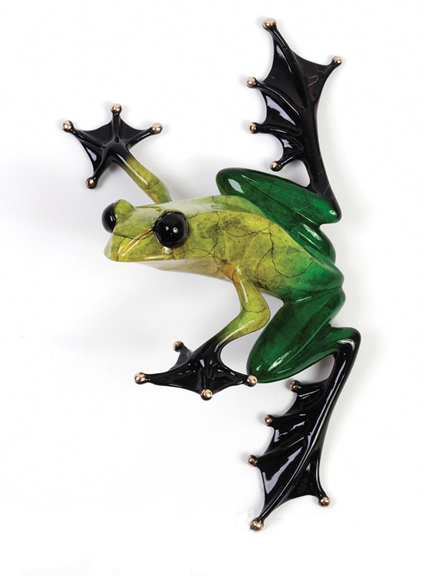 Beautiful green patina on this action-packed sculpture from the Frogman.